(CBS News) JERUSALEM - An Israeli government report has sharply criticized Prime Minister Benjamin Netanyahu for the commando raid on an aid flotilla heading to the Gaza Strip two years ago that left nine Turkish activists dead. The 153-page document penned by State Comptroller Micha Lindenstrauss describes Netanyahu's handling of the affair as "flawed" and "superficial." "Substantive and significant deficiencies were discovered in the decision-making process... that Prime Minister Benjamin Netanyahu led and oversaw," the report says. "The Prime Minister's decision-making process took place without orderly, coordinated and documented team work, even though the senior political, military and intelligence ranks were aware that the Turkish flotilla was different from other flotillas." The flotilla, which sailed from Turkey with hundreds of people on board, sought to break Israel's naval blockade on Gaza, which activists described as illegal and immoral. Israel says the blockade is necessary to prevent weapons from reaching the Palestinian militant group Hamas that rules Gaza. Israel was caught off guard when naval commandos raided the biggest ship, the Mavi Marmara, and were confronted by Turkish militants wielding knives and iron bars. The report charges that Netanyahu, "did not internalize that the forcible stopping of the flotilla was liable to spark a violent confrontation on the decks of the Mavi Marmara." The deadly raid sparked international outrage and severely strained Israeli relations with Turkey, a Muslim country that was once Israel's strongest strategic ally in the region. Turkey demanded an apology for what it described as a "massacre" and a "war crime," but Israel refused, saying that it acted in self-defense against a provocation on the high seas. The Turkey cuts Israel ties over flotilla raid plummeting ties with Turkey were followed by the collapse of another strategic alliance, when Egyptian President Hosni Mubarak was toppled in the Arab Spring uprising. This, along with a three-year stalemate in peace talks with the Palestinians, has increased Israel's regional isolation. 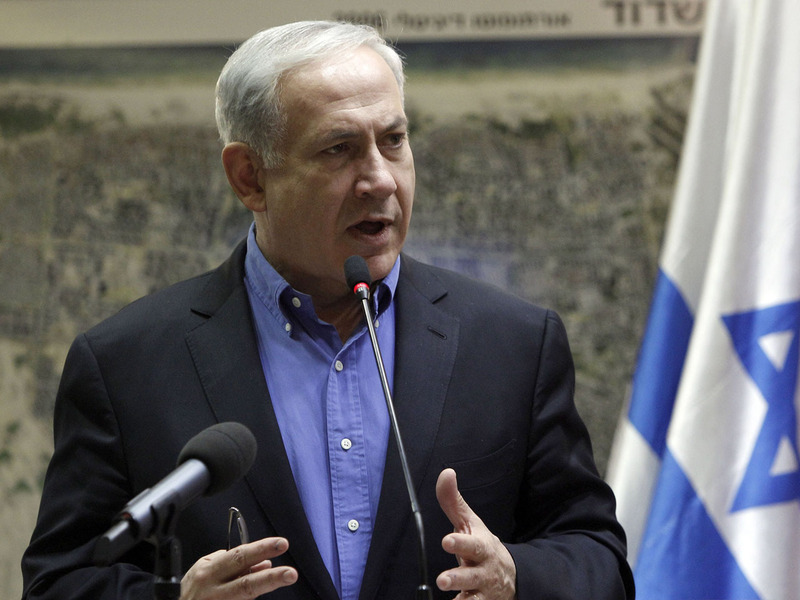 Netanyahu has defended his handling of the affair and has praised the bravery of the naval commandos. "Israeli citizens enjoy a level of security they did not have for many years," the Prime Minister said in response to the report, describing his claimed success as, "a direct result of responsible administration and resolute policy."